UPF 50+ PROTECTION. 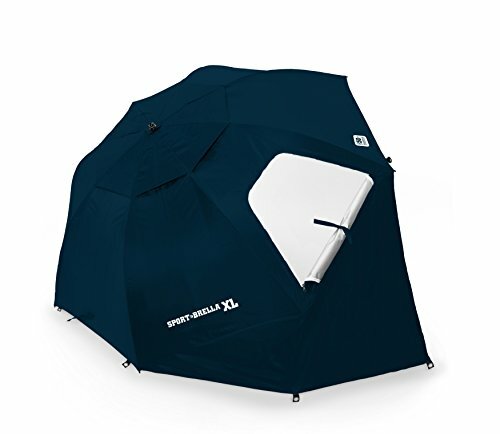 The Sport-Brella XL will keep your skin safe and protected from over 99.5% of UVA and UVB rays. With side panels for extra coverage and wind flaps for ventilation and airflow, you'll get everything you need. THE ESSENTIALS. Keep valuables safe in the internal side pockets and gain extra visibility with the dual canopy with top vents and side zippered windows. The telescoping pole has a metal tip is held in place by a durable steel screw. If you have any questions about this product by Sport-Brella, contact us by completing and submitting the form below. If you are looking for a specif part number, please include it with your message.